Daveswordsofwisdom.com: Five Words That Will Define 2017 For You. Five Words That Will Define 2017 For You. 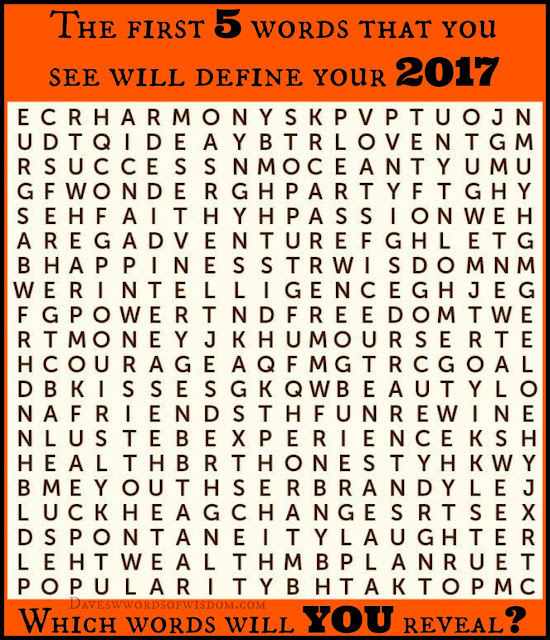 The first 5 words that you see will define your New Year. 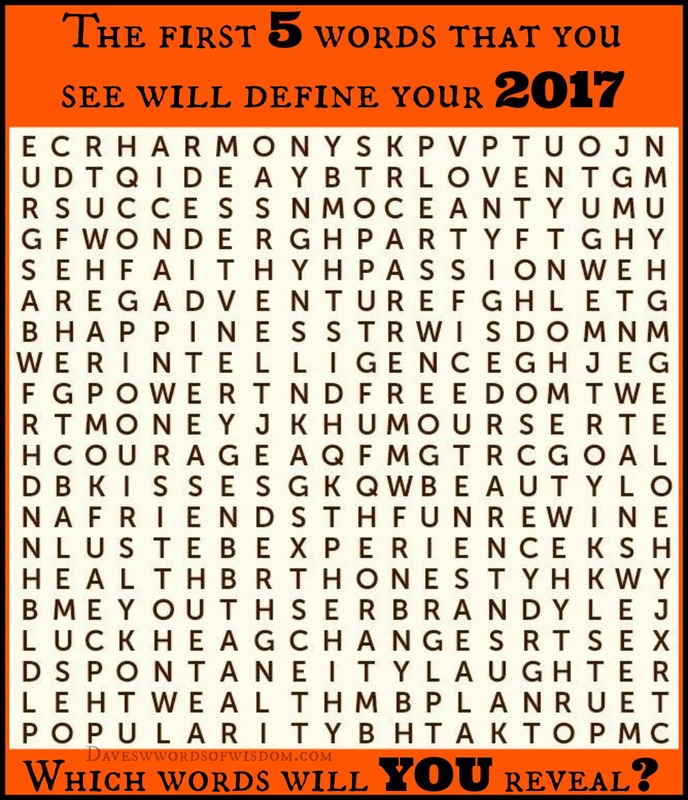 what the New Year will bring you? I hope this is true for your New Year.